Blue Cat's FreqAnalyst Multi, Tuner from Blue Cat Audio. 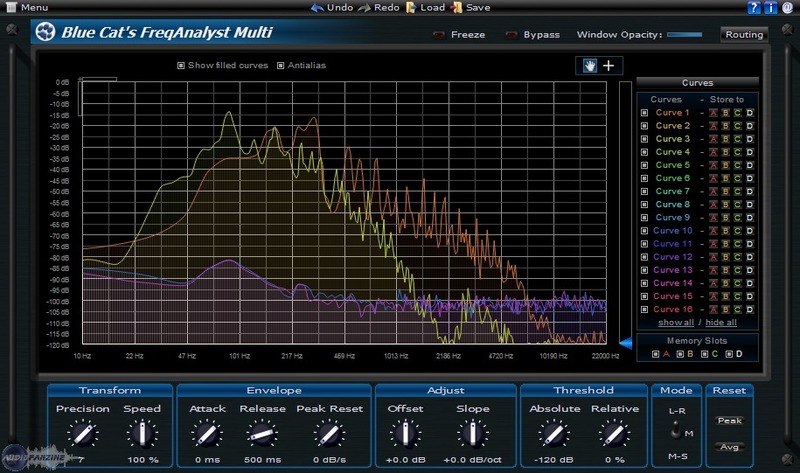 Blue Cat Audio has released version 1.9 of FreqAnalyst Multi and StereoScope Multi, two of its audio analysis plug-ins for Windows and Mac. 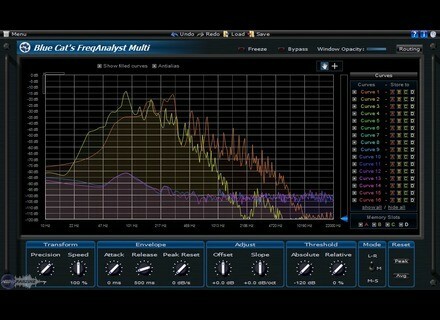 This update mainly brings to Blue Cat’s FreqAnalyst Multi and Blue Cat’s StereoScope Multi the ability to save difference curves in order to perform comparisons between measurements: the plug-ins are able to compute differences between measurements taken in multiple locations in a digital audio workstation, and it is now possible to save and compare them. A free tutorial available on the editor’s website (www.bluecataudio.com/Tutorials/Tutorial_EQ_Matching_Reaper) illustrates this new feature, showing as an example how to emulate the frequency response of a guitar amp cabinet with an equalizer. Difference curves can now be saved for easier comparisons and EQ matching tasks. Windows uninstaller now proposes to remove preferences as an option. Misc minor user interface and windows installer changes. FreqAnalyst Multi and StereoScope Multi are available to purchase for 79 EUR / $99 USD each. Detunized releases DTS027 - Just Water Live Pack Just Water is a collection of water recordings in different kinds of motion, including 90 scenes in 7 categories: Bridge and Tube, Creek, Drops and Rain, Indoor, Melting Ice Floes, Ocean and Sea, River. Platinumloops Releases Indian Samples ‘Indian Licks V1' This Indian sample pack takes you on a journey through India with tempos range from 73 to 137 bpm. Sonic Charge Updates µTonic 3 Sonic Charge has released version 3.0.1 of µTonic, a virtual drum and percussion synthesizer instrument for Windows and Mac.